-Mill Management Offered security management plan to National Monitoring Committee of National Green Tribunal. -Mill management said, now if the temperature rises then sensors would alert. In a meeting of Punjab Pollution Control Board, National Green Tribunal constituted National Monitoring Committee held on 8 Jan 2019, Chadha Sugar Mill came with a comprehensive security plan. This plan has lots of measurements to take care and control molasses leakage in future. This is same sugar mill who has compromised the bio diversity of Satluj Bias River with its sheer negligence last year when lots of fish died due to leakage of toxic molasses. As per National Monitoring Committee, Chadha Sugar Mill would now be closely watched by them. They would keep an eye on them by 24 by 7. 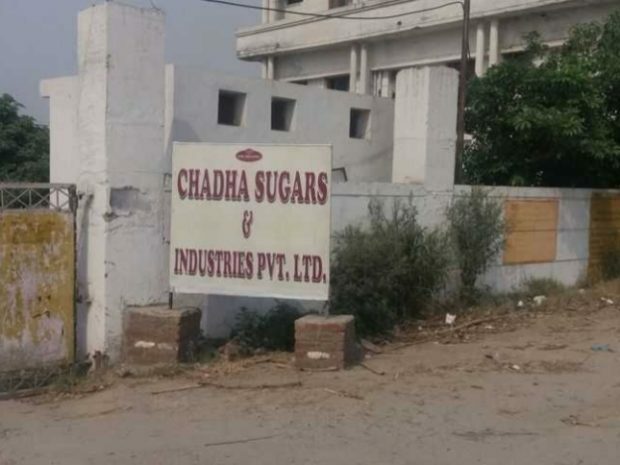 While submitting their security plan, Chadha Sugar Mill situated at Kiri Afghana said that now they have managed to have extra tanks for molasses storage. The walls of tanks would be temperature controlled, the freezing/cooling system would control the chemical reaction. If incase temperature rises the sensor installed would alert us and molasses would be controlled. Their liquor factory would now working continuously by 24 hours so that molasses usage can stay in continuous process. Last year in month of May, there have been a chemical reaction in tanks of molasses of chadha sugar mill. Tanks got blasted and molasses got sipped in river due to what huge number of bio diversity got compromised.